Margriet grew up at a farm in the east of the Netherlands, bringing the cows inside for milking, harvesting from the garden and playing outside. She inherited from her parents a love for nature and their pride to be a peasant. At secondary school she started her activist life, organising student strikes and anti-racism campaigns. During her studies of non-western sociology (Leiden University, the Netherlands) she co-initiated various social collectives linked to the global justice movement. Within the discipline of sociology, Margriet specialised in etnovideography, video for research and education. She became aware of what can be accomplished through images and she took another specialisation in radio- and television documentary (Groningen University, the Netherlands). While studying she made a living selling organic vegetables and fruit at a peasant market. After her studies, Margriet started filming and editing for non-governmental organisations, social movements and research institutes. Throughout the years Margriet facilitated many participatory video and video-activism workshops in the Netherlands, Brazil and Ivory Coast. During the ebola outbreak in Sierra Leone she co-developed with a Sierra Leonean ngo an application for a tablet-based digital farmer field school on cocoa certification. Margriet currently teaches at Wageningen University (the Netherlands). She is also a project leader and researcher at the Science Shop, a community-based research programme of Wageningen University and she has published on diverse topics including film for social change, african diaspora and agroecology. She is also a board member of the Agroecology Europe association. At the moment Margriet is also a PhD candidate at the Rural Extension group of the Federal University of Viçosa, Brazil and the Forest and Nature Conservation Policy group at Wageningen University, the Netherlands. 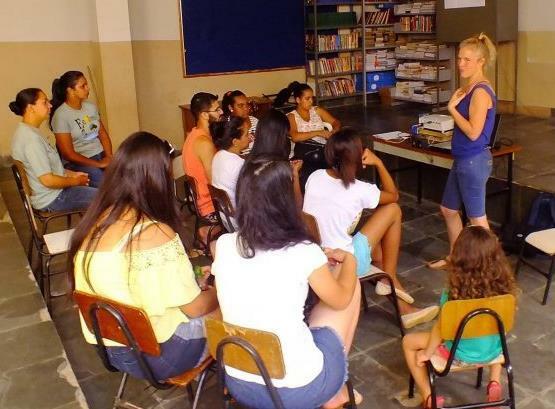 Using an action-research approach, she is studying how young peasants within the agroecological movement in Brazil counter the hegemonic discourse on the peasantry. Margriet is independent, creative, innovative and enthousiastic. She is a great workshop facilitator, capable of allowing different actors to participate in complex research projects. She is also skilled in designing education material for transformative and transgressive learning. Margriet speaks English, Portuguese and Dutch. In her free time, she loves to play and do outdoor sports with her three children. She is actively and practically involved in developing a small food forest in the Netherlands and an active member of Toekomstboeren, the Dutch member of La Via Campesina. Margriet finds inspiritation in the pedagogy of alternation: “If the structure does not permit dialogue, the structure must be changed” (Paulo Freire).